Can be keyed alike with other Blaylock push-button locks. Sturdy, rustproof lock deters theft of the contents of your enclosed cargo trailer. Its cam-and-keeper design, push-button lock, and recessed tumbler provide both security and peace of mind. 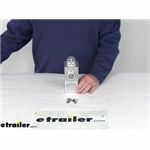 Call 800-298-8924 to order Blaylock Industries enclosed trailer parts part number BLDL-80 or order online at etrailer.com. Free expert support on all Blaylock Industries products. 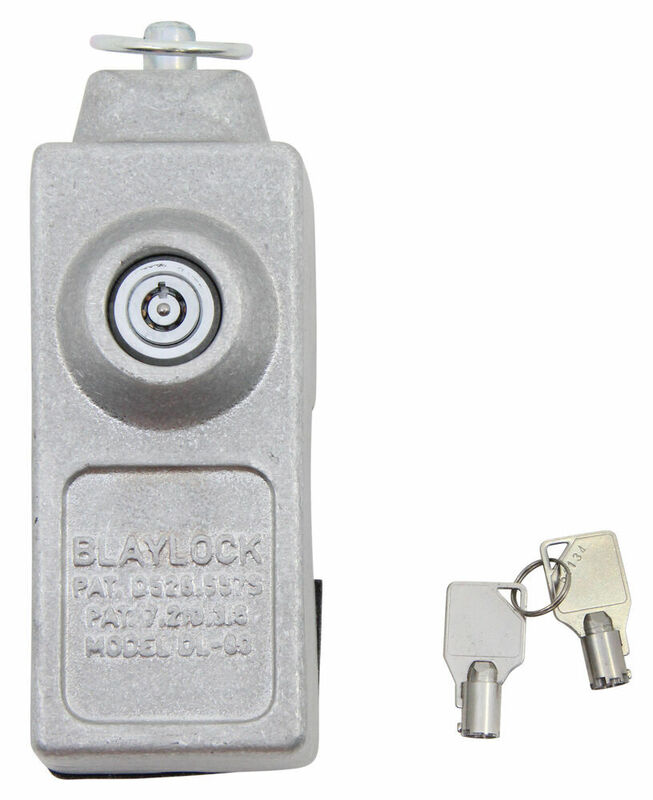 Guaranteed Lowest Price and Fastest Shipping for Blaylock Door Lock for Enclosed Trailers - Aluminum - Push Button. 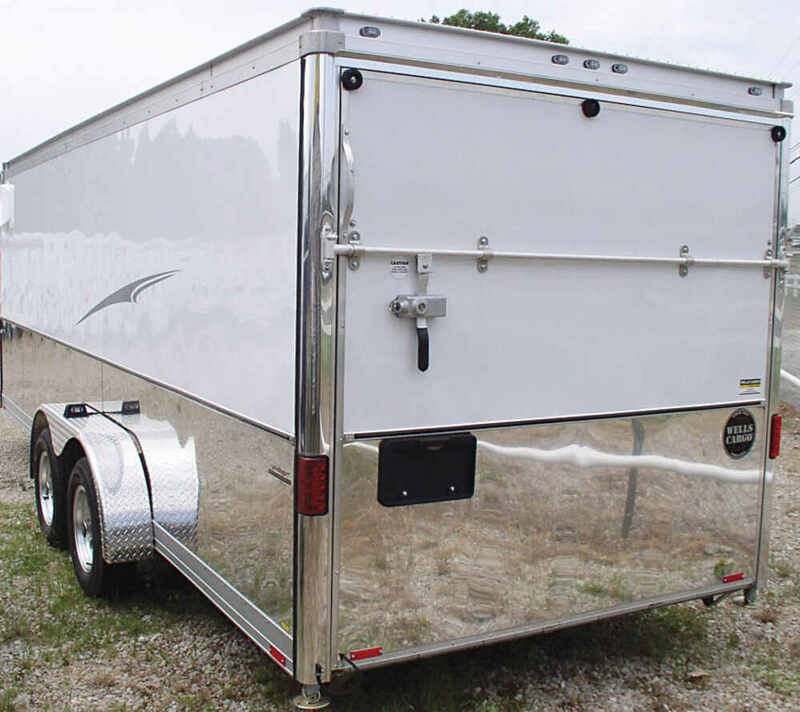 Enclosed Trailer Parts reviews from real customers. 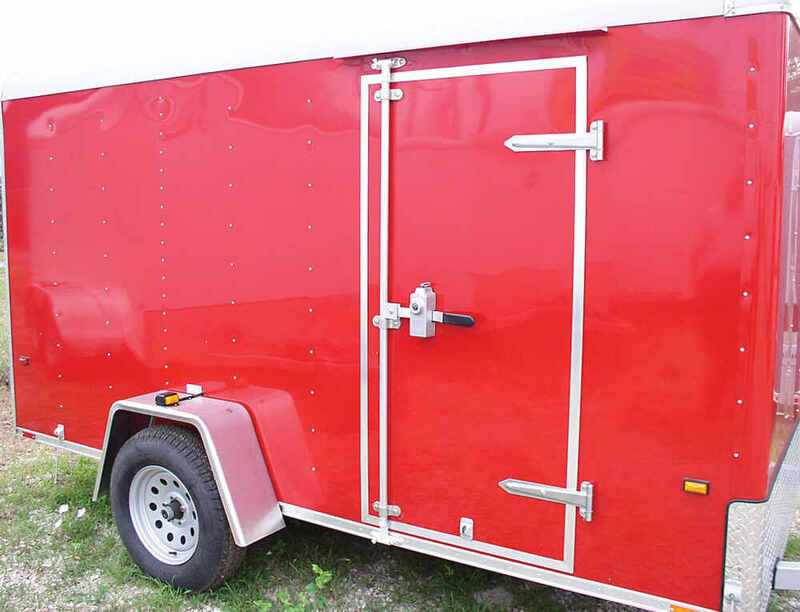 After it has been secured, the Blaylock door lock deters the theft of your enclosed trailer's contents. Ideal for enclosed trailers, tractor trailers, and marine shipping containers. 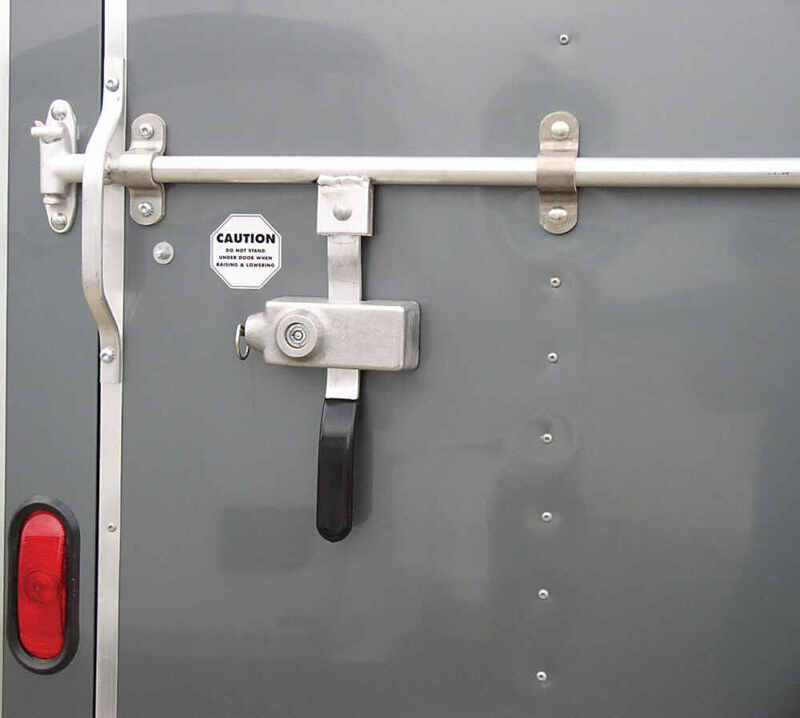 Place the unit over the trailer's lock rod handle, with the handle keeper in the closed position. Slide the hardened steel pin down through the keeper holes. Push in the lock to secure the unit. This lock boasts rugged, corrosion-resistant aluminum construction that is typically used in aircraft applications. The pin that slides through the keeper holes is made of hardened steel. This pin has a pull ring that makes the lock easy to handle and remove when you want access to your cargo. It also acts as a hanger to store the lock when it's not in use. For extra security, the pull ring is designed to break if would-be thieves try to pry the pin out of the assembly. 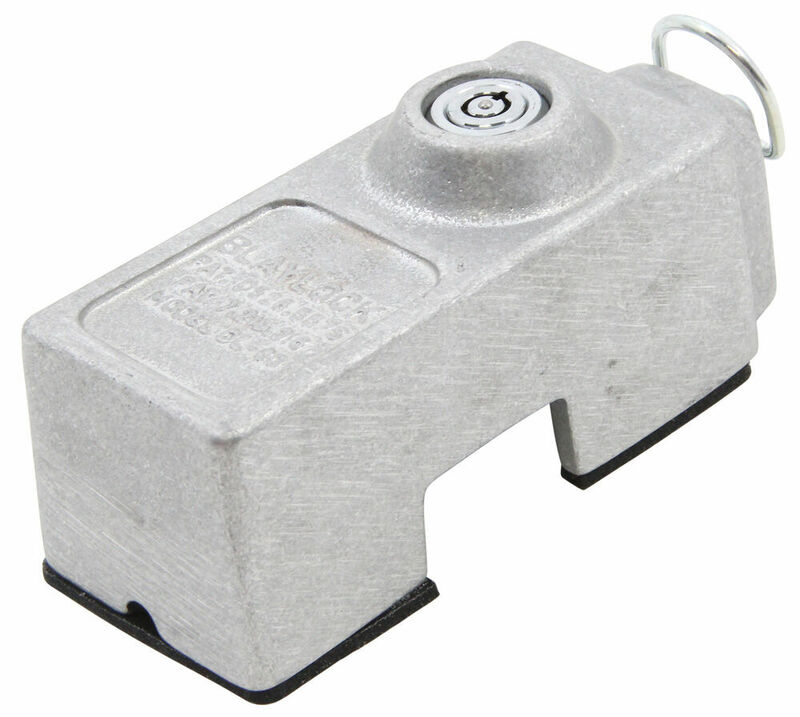 Today we're going to take a look at the Blaylock Push Button Aluminum Door Lock for enclosed trailers. 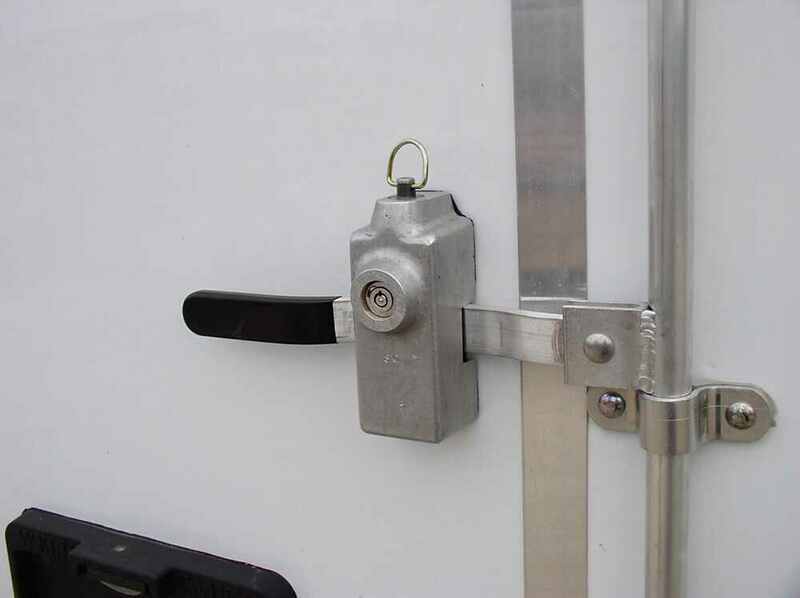 Now this is a nice heavy duty lock that'll prevent theft of the contents of your enclosed trailer. The trailer's door latch or the lock rod handle cannot be moved while this unit is locked and you can see it's a nice highly visible lock, so it is daunting to any would-be thieves. It's fully-enclosed, completely encases the entire latch assembly when it's installed, so it eliminates access to the latch keeper boltheads and the padlock hole.Installation on this, basically you just take this pin out, place this whole unit over the trailer's lock rod handle with the handle keeper in the closed position. Then what you'll do is take this pin, it's a hardened steel pin, drop it down through the keeper holes just like that, and then push in on the lock and that'll secure the unit. They won't be able to remove the pin, it'll lock the handle in place.The pull pin ring makes it very easy to install and remove the lock. The ring is designed to break if someone tries to remove it with a crow bar. The ring is also nice because when you're not using it you can use it as a hook to hang up the lock when it's not in use. The push button lock here, let me just go ahead and unlock with the key, just turn it a quarter of a turn, and that'll unlock it and you can pull the pin out, take it off the handle.Again, it's a push button lock, secures the unit to the door handle. It's located on the front, makes it easy access and it uses a recess tumbler to add extra security. Two keys are included. It does use an aircraft-grade lightweight aluminum construction, which makes it very strong, resist wear and corrosion. If you notice on the back here, this inner gasket provides a nice water-tight non-marking seal and prevents scratches and helps minimize noise caused by vibration.These parts are made in the USA. Now on this part, they do also offer a keyed alike option. If you go to our product page of this, right up at the top you'll see a spot where you can offer keyed alike to order multiples of this lock keyed alike, or the key the same as other push button-style Blaylock locks you might have. Again, the application for this is most single and double trailer doors with vertical or horizontal lock rod handles.Weight on this is only about one-and-a-half pounds. Overall dimension at the widest point, width wise is going to be two-and-three-quarter inches. Total height . actually we'll go ahead and put the pin in and we'll measure it all the way to the top of the pin itself. So bottom to the very top is right at seven inches tall and the total depth on it is going to be right at three inches deep.But again, just to show you how this operates, you take your pin out, put this section right over your handle, and then go ahead and take your pin, drop it right through there, and then drop it through the keeper holes in your handle and the hasp. Then once it's all installed, all you have to do is just push that down and you're locked, ready to go. 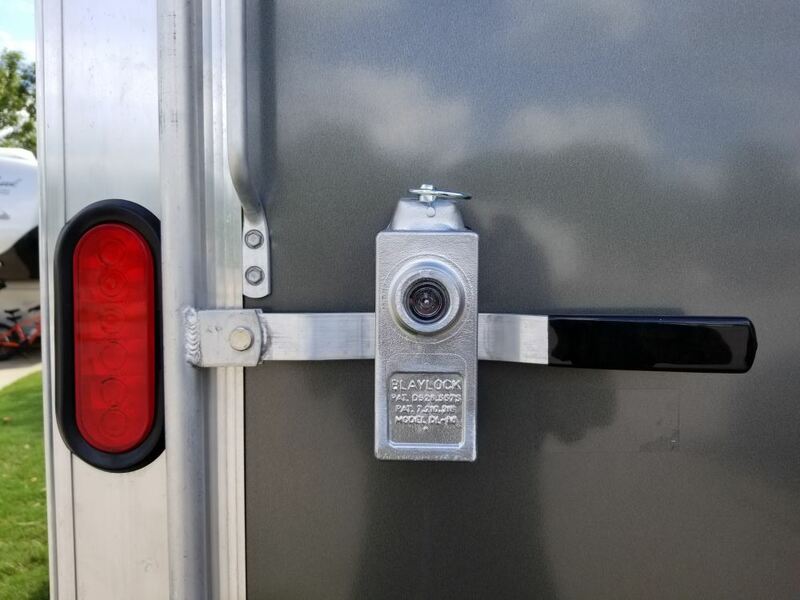 Then when you want to remove it, just take your key, stick it in there, turn it a quarter of turn and that'll unlock and you can remove it.But that should do it for the review on the Blaylock Push Button Aluminum Door Lock for enclosed trailers. Order: RelevanceNewestRating - High to LowRating - Low to High Can be keyed alike with other Blaylock push-button locks. Sturdy, rustproof lock deters theft of the contents of your enclosed cargo trailer. Its cam-and-keeper design, push-button lock, and recessed tumbler provide both security and peace of mind. Its been a year now and this lock system is the best. They have worked flawlessly and are really secure and look it as well. They cover all the door latch bolts and dont even rattle when pulling the trailer, at least from what I can hear. Very affordable and did I say d they look great. Highly recommend to anyone looking for that extra bit of security. Yes, the pin is available as a replacement part for Blaylock lock # BLDL-80. You will need replacement pin # BLCPIN-DL80. It is possible to use the cam-door lock, # 383200, horizontally but it would need to be placed up higher than the midway point to reduce the amount of stress on it when the door is closed. Take a look at the picture I have included that shows this type of set up. For a lock you could use # BLDL-80. We don't have anything that's necessarily freeze proof but what I would recommend is to use the straw of a can of WD40 to direct it into the lock mechanism. This will keep the lock lubed and will prevent water from getting in as well. We've sold quite a few of the Blaylock Door Lock for Enclosed Trailers # BLDL-80 that you mentioned and have not had anyone come back and state that there was an issue with the lock getting frozen. Yes, the Blaylock Door Lock # BLDL-80 can work on a bar latch system without the latch in the hasps. This would work well for you to prevent someone from playing a terrible practical joke on you by locking you in the trailer. Just make sure you don't let anyone have access to the extra key! I can't recommend Thule lock cylinders because you would need to have the right housing for them to fit. What you are describing sounds similar to # CAM44353 which could work for you. The old locks will have to be removed of course. It also sort of sounds like the whole assembly is something like # BLDL-80 which if you got it the locks and keys are already included. I checked the Trails West website for any available information on the tack room door lock they use as OEM equipment on their 2-horse trailers but no details are offered. 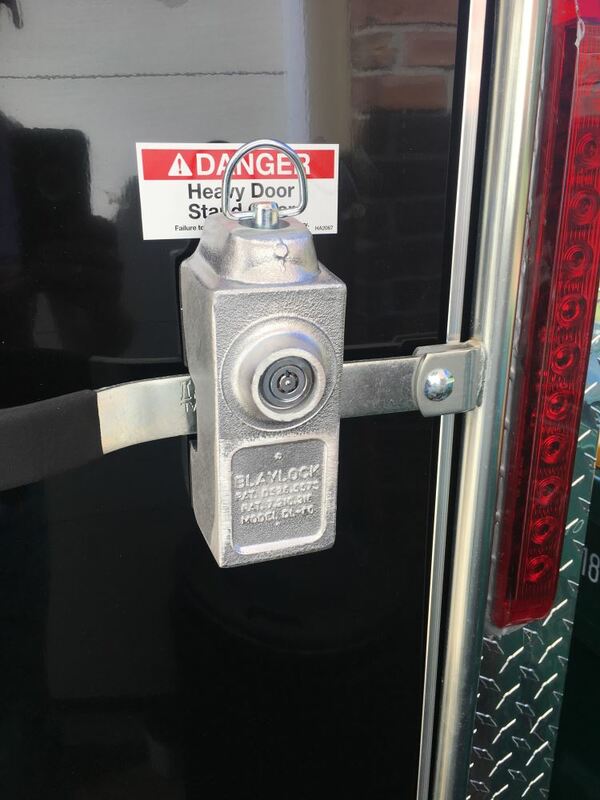 But you can just review the linked page that will show you our available enclosed trailer door locks, such as the Redline # 305736 and the Blaylock # BLDL-80. 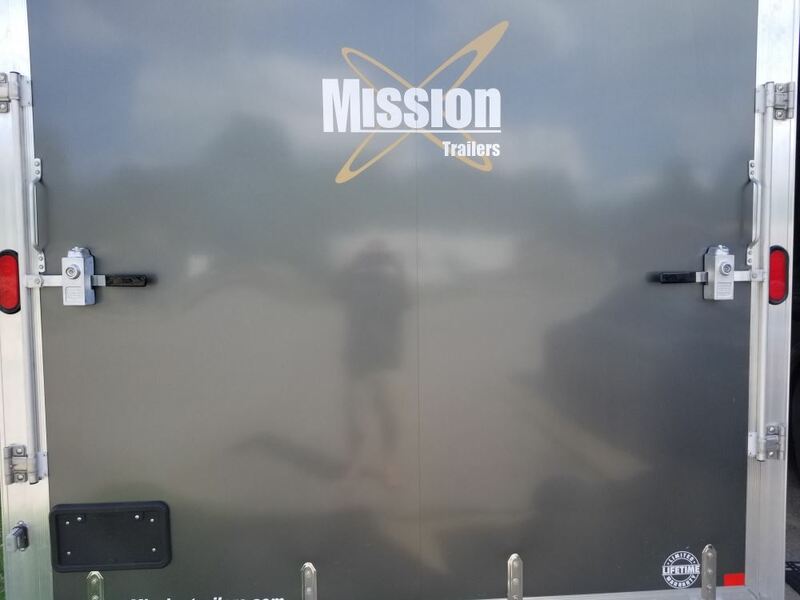 I also included a link to all replacement parts for enclosed trailer doors. The style of door latch that the BlayLock Door Lock # BLDL-80 is designed to work with is the cam door style of door like the part # 3057-55 which is 55 inches tall or the # 305736 which is 36 inches tall. 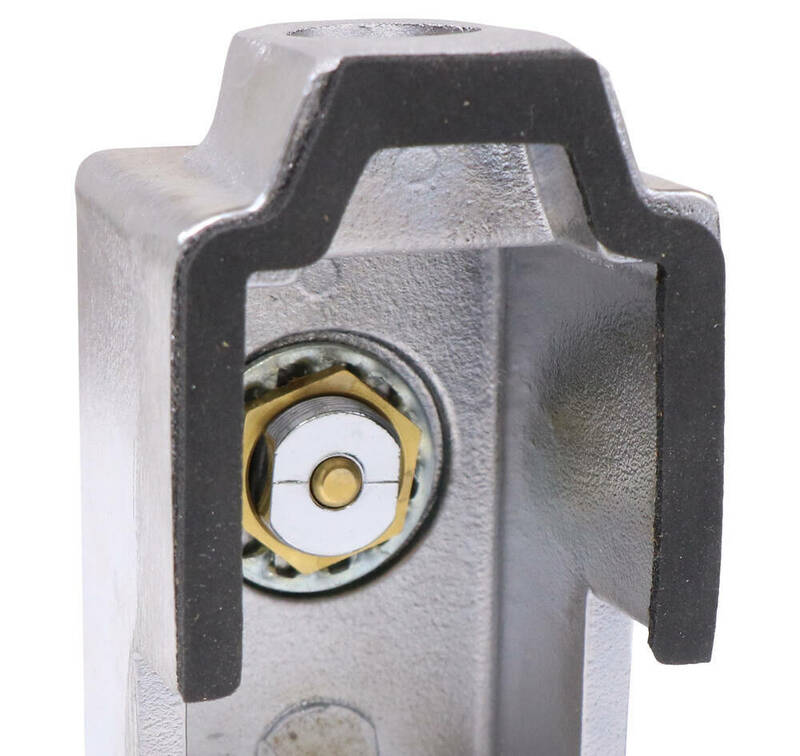 The Blaylock Door Latch Lock part # BLDL-80 that you referenced fits most single and double trailer doors with vertical or horizontal lock rod handles which means it should work for your trailer, but we don't have a specific fit list for the lock for trailers. I attached a review video for this lock for you to check out as well. Barrel keys like those that come with Blaylock Door Lock # BLDL-80 can be difficult to reproduce. A locksmith might be able to cut a match, you'd just have to ask if they can. We may have the replacement keys needed. I would just need to know the key number on the existing keys. Before you try to cut the lock off I would recommend hitting the lock with some WD40 to try and get the lock cores to release. Use the straw that comes with it to direct the lube into the core as much as possible. You may have to let it soak for a few minutes. If the key worked for several times and then stopped that would indicate that you do have the correct keys and the problem is on the lock side. 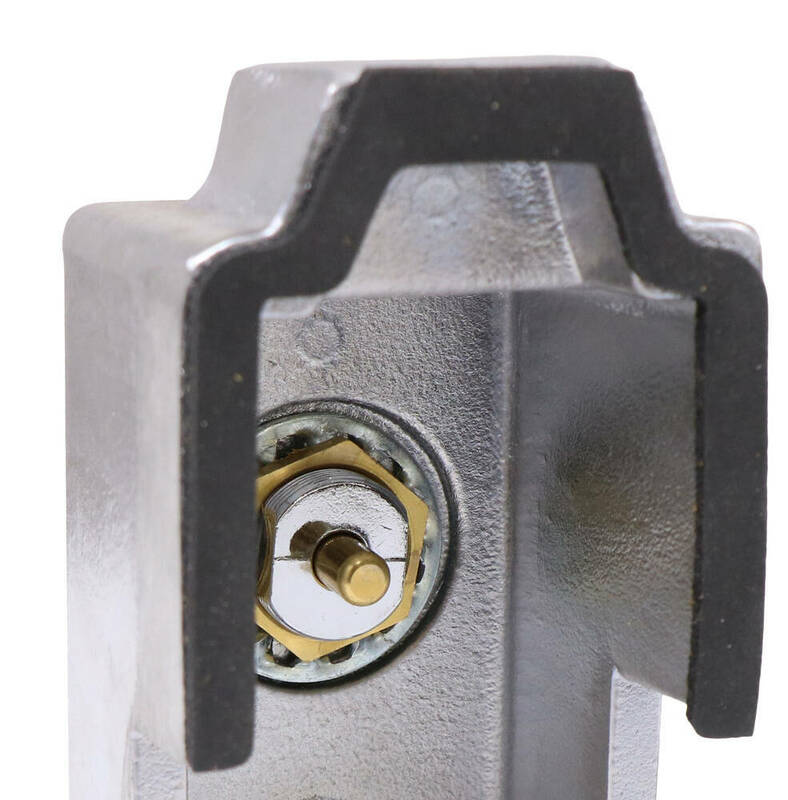 On the main product page of the Blaylock Door Lock for Enclosed Trailers # BLDL-80 right below the price is a drop down menu that says "Keyed Alike? ", you'll want to click that and then select "Keyed Alike" and you'll be set. Any lock can be defeated if the right tools and enough time are available to the would-be thief. Locks are mostly deterrents intended to discourage a thief and cause them to look elsewhere. No locks are 100% pick-proof. For securing a trailer in a location where theft is more likely the use of several different locks can help. Using a large and easily visible lock like the Blaylock # BLDL-80 is a good step. We do indeed offer the exact part you referenced, Blaylock DL-80. Our part # BLDL-80 is a push-button tubular key door lock for enclosed trailers and is made by Blaylock. This USA-made lightweight aircraft-grade aluminum locks includes two keys and is illustrated in the linked video. 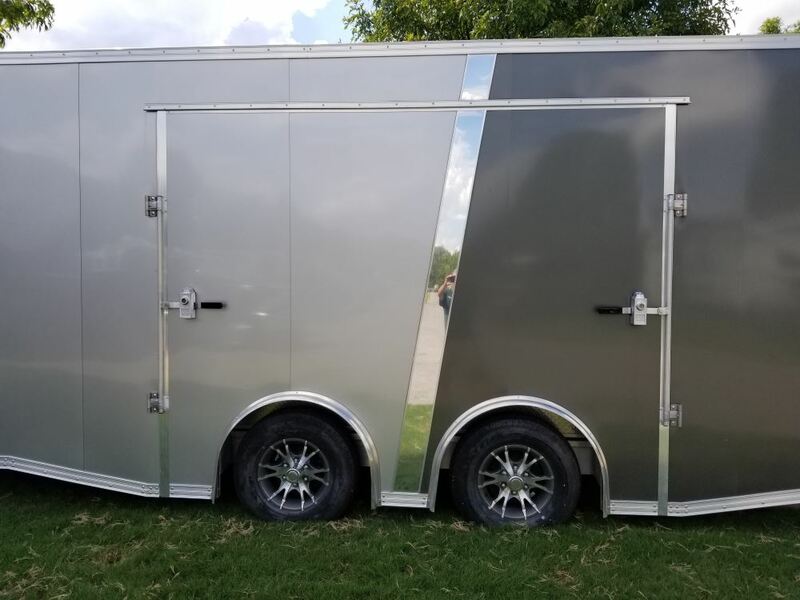 I also included for you a link to our main page for all enclosed trailer accessory items in case you need anything else.